We greatly value our members and their privacy, so below you will find full details on how we keep your data safe. We are OpinionPanel Limited. We are a company incorporated and registered in England with company number 05013113. Our registered office is at 6th Floor, 28-30 Worship Street, London, EC2A 2AH. The OpinionPanel Community (or simply OpinionPanel). This is a paid online market research service that has been rewarding young people for taking part in research projects since 2004. YouthSight. This is the market research part of our business. When we refer to these trading names or “we”, “us” or “our” in this policy, we are referring to OpinionPanel Limited. It’s our aim to reward young people for sharing their opinions. The research that OpinionPanel undertakes is normally commissioned by organisations such as consumer brands, universities or government departments. Unless there is good reason not to, we will normally disclose the name of the commissioning client to you in the research project we are running for them. In this policy, when we talk about a “project” or “survey”, this relates to the research project our commissioning client has instructed us to carry out for them. To become a member of The OpinionPanel Community you need to join via our Sign Up form which is hosted on www.opinionpanel.co.uk. Versions of this form might also appear on third party websites. Immediately after you first sign up, we will request you to complete the joining process by taking a profiling questionnaire. The information captured here forms the basis of your personal profile and helps us work out which future surveys and research projects will be most relevant to you. We work out which surveys or research projects are most releveant to you by comparing your personal profile information to the research requirements agreed with each client. For example, a client may wish to capture the opinions of 17 year old females in the North West of England. Therefore we would only select members whose profiles matched these criteria. When you Sign Up and complete the profiling questionnaire you will become a member of OpinonPanel. We may refer to you as a “member” or a “panellist” in this policy. Personal Profile Information. The Join / Sign Up form collects your first and last name, your email address and your chosen password. If you Sign Up via facebook or any other social media platform, we also collect this information. Contact Information. If you opt to receive surveys via text-message or other messaging media we also collect your mobile phone number or relevant contact details. Questionnaire Data. The initial profiling questionnaire collects information about your background, education, working status, consumer habits and, optionally, your health. We collect information about any updates you make to your profiling information. Opinion Data. During research opportunities we collect information you provide relating to your opinions, attitudes, experiences and use of certain products or services. Occasionally we may collect video, audio or photographic submissions you make during a research opportunity. User Experience Data. We collect information about your logins, comments on blogposts, ratings, polls, web pages viewed. Rewards Information. Any personal information we may require in order to issue you with a prize or reward or monitor your usage of our credit point scheme. Correspondence Data. Any correspondence you send us. Social Media Information. Information you provide to us via social media or through your social media feed. Usage Data. We also collect usage data about you whenever you interact with our services. This may include which webpages you visit, what you click on, when you performed those actions, and so on. Additionally, we keep digital log files that record data each time a device accesses our servers. The log files contain data about the nature of each access. We collect data from the device and application you use to access our services, such as your IP address, browser type, internet service provider (ISP), referring/exit pages, operating system, date/time stamp, and clickstream data. We may also infer your geographic location based on your IP address. If you arrive at an OpinionPanel Ltd service from an external source (such as a link on another website, contained in an email or messaging app), we may use this information, to analyse trends, administer the site, track users, and gather demographic information about our user base as a whole. – Information about the time and duration of calls you make or receive on your devices. We do not collect or record the content of your calls. – Information about when you send or receive text messages, SMS or MMS. We do not collect or record the content of your text messages or MMS. – Information about emails that you send on your devices – the time they are sent and how long you spend composing emails. We do not collect or record the content of your emails. – Information about your location (please see below). – Information about your internet browsing habits – how much time you spend browsing the internet on your devices, the websites you visit, and the terms of any search you carry out. – Whether people you call, email or send SMS or MMS to are already in your ‘Contacts’ in your mobile device. – Information about the type of device you own, when and for how long you charge it, its battery status, whether it is switched on, off or in a stand-by or ‘Airplane’ mode. – Information about which mobile network you use, which wi-fi networks you connect to, and at what times. – Information about the volume of data downloaded to your device, the times that you download that data and the method of connection you use (wi-fi or mobile network). – Information we can deduce from combining the above information – e.g., what apps you were using just before you searched for particular information using your device’s internet browser, or how often you call, email or text a particular contact, or the geographic location in which you are most likely to charge your device, make a telephone call, or download an app. Our projects can focus on a wide range of topics; e.g. TV-watching habits, thoughts on new products or services, etc. We will normally invite you to participate in projects by emailing, texting or messaging you about the opportunity. We will, at that point, explain the broad topic of the survey, its likely duration or required involvement and the reward on offer. It is then up to you to decide whether or not you wish to take part. Participation is never mandatory. You can always drop out at any time although we prefer you to complete tasks once you start them and we don’t normally pay any incentives for incomplete tasks. We will only use your personal data when the law allows us to. Most commonly, we will use your personal data in the following circumstances, but for more information about the types of lawful basis that we will rely on to process your data, please click here. in aggregated form to help us explain our research capabilities to our clients. invite you to research opportunities such as surveys, focus groups, online communities, passive monitoring of the websites you visit, etc. send other news and updates. We use your opinion data and other data you provide during research opportunities to provide our clients with insight and advice and for further analysis that OpinionPanel Ltd may undertake. Additionally we use your information to deal with any information requests, complaints, queries or technical problems you experience; for our internal purposes, such as quality control, site performance, system administration; to notify you about changes to our services or changes which may affect your participation in The OpinionPanel Community; to notify you if you win one of our prize draws; to issue prizes, payments or rewards to you. The personal data that we collect when you first join The OpinionPanel Community, and any subsequent data collected via surveys and other research engagements, may by stored for the purposes of further research. Information you supply in response to questionnaires commissioned by clients will, unless you have explicitly consented otherwise, be merged with other replies so that the client only obtains anonymised responses. We may share personal data if we are under a duty to disclose or share your personal data in order to comply with any legal obligation, or in order to enforce or apply our terms and conditions and other agreements; or to protect the rights, property, or safety of The OpinionPanel Community, our commissioning clients, or others. This includes exchanging information with other companies and organisations for the purposes of fraud protection. We require all third parties to respect the security of your personal data and to treat it in accordance with the law. We do not allow any of our third-party service providers to use your personal data for their own purposes and only permit them to process your personal data for specified purposes and in accordance with our instructions. We respect your privacy and confidentiality. We have put in place appropriate security measures to prevent your personal data from being accidentally lost, used or accessed in an unauthorised way, altered or disclosed. 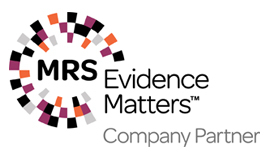 OpinionPanel Ltd is a company partner of the research industry’s governing body – the Market Research Society (MRS). The MRS enforces professional standards and data protection legislation in the market research industry. 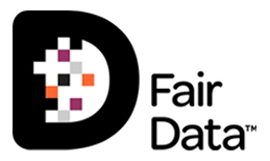 OpinionPanel Ltd abides by the MRS Code of Conduct, and we are accredited under their Fair Data scheme which sets out 10 Fair Data principles. Additionally, we are fully compliant with the General Data Protection Regulation (GDPR) and all other applicable data protection legislation. We use up-to-date, firewall-protected technology to help ensure your personal information cannot be accessed by any unauthorized personnel. Passwords are only stored in encrypted form. Only vetted staff and contractors have access to the information you provide us and they are subject to a duty of confidentiality. We do not transfer your data outwith the UK, unless it is to territory within the European Economic Area or there are adequate safeguards in place. We normally delete personal identifiable information we hold on you within 12 months of you unsubscribing but in some circumstances you can ask us to delete your data sooner: see Deleting personal data below for further information. You have the right to ask for a copy of the information which we hold on you (commonly known as a ‘data subject access request’. You have the right to stop us processing your personal data for direct marketing purposes. We will always inform you if we intend to use your personal data for such purposes. We will never disclose your information to any third party for such purposes. You can usually exercise your right to prevent marketing by checking certain boxes on the forms we use to collect your data. You can also exercise the right at any time by contacting us at Contact us. You may object to us processing your personal data where we are relying on a legitimate interest (or those of a third party) and there is something about your particular situation which makes you want to object to processing on this ground as you feel it impacts on your fundamental rights and freedoms. In some cases, we may demonstrate that we have compelling legitimate grounds to process your information which override your rights and freedoms. This version was last updated on: 21st May 2018.
us (please see Contact us). Consent means we have obtained your prior consent to such processing. Below you can find our Terms and Conditions for membership of the OpinionPanel. We refer to these Terms and Conditions as our “terms”. Please read these terms carefully. They give you important information about who we are and membership of our panel, including your obligations as a member. By applying to join The OpinionPanel Community you agree to be bound by them. We are the OpinionPanel Limited. We are a company incorporated and registered in England with company number 05013113. Our registered office is at 6th Floor, 28-30 Worship Street, London, EC2A 2AH. When we refer to these trading names or “we”, “us” or “our” in these terms, we are referring to the OpinionPanel Limited. It’s our aim to reward young people for sharing their opinions. The research that OpinionPanel undertakes is normally commissioned by organisations such as consumer brands, universities or government departments. Unless there is good reason not to, we will normally disclose the name of the commissioning client to you in the research project we are running for them. In terms, when we talk about a “project” or “survey”, this relates to the research project our commissioning client has instructed us to carry out for them. If you have any questions, comments or concerns regarding these terms, then please get in touch by email on support@opinionpanel.co.uk. These are the terms that apply to your membership of the OpinionPanel. We may refer to you as a “member” in these terms. Please read these terms carefully before you sign up to become a member. By signing up, you are entering into a legally binding agreement with us based on these terms. These terms make up our “contract” with you and this is important. If you do not agree to this contract, then please refrain from joining OpinionPanel. Membership of The OpinionPanel Community is free of charge but you must comply with the Panel Rules. you shall comply with our Panel Rules. We rely on accurate data to serve our commissioning clients so we depend on receiving the honest opinions of our members at all times. As a member, you agree to provide truthful and well considered answers to our research projects and surveys. As a member of The OpinionPanel Community you will be exposed to some new products and innovative ideas from our commissioning clients and we ask that you do not share any of the information relating to the products or the research project in which you participated, via any medium. If OpinionPanel Ltd has reason to believe you have shared material containing our commissioning client’s intellectual property outside the context of the research project, your membership may be terminated. When you join The OpinionPanel Community we will create a points credit account for you. Typically, each time you complete a research opportunity, we credit your account with points. The number of points that we award will normally be specified within the invite we send you to participate in the research project/survey opportunity. Normally, if you do not complete the research project/survey you will not be rewarded any points. Occasionally, rather than awarding points credits we will offer to make a make a direct payment after a particular research project/survey. Points have no monetary value and may not be bartered, sold or transferred. 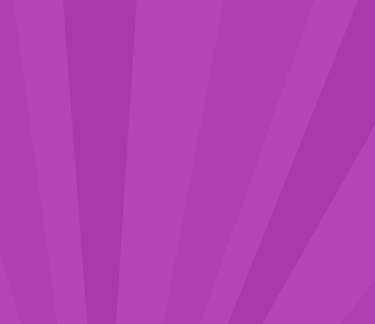 You can only use the points to collect rewards in accordance with our rewards system policy. More details on our rewards system can be found here. Membership of The OpinionPanel Community is personal to you and is not transferable to a third party. You may not join The OpinionPanel Community more than once (for example, by signing up with different email addresses). The OpinionPanel Community has the right to refuse your application for membership for any reason. All information you give in relation to membership of The OpinionPanel Community must be true, accurate and not misleading. It is your responsibility to keep your personal details, including your email address up to date. In order to be a member of The OpinionPanel Community you must be responsible for the confidentiality of any messages we send to you and for any passwords you supply to, or accept from, The OpinionPanel Community. If you discover any unauthorised use of your OpinionPanel Community or email accounts then you must promptly let us know. We will not be liable for unauthorised use of your email address or passwords. You can leave The OpinionPanel Community at any time by clicking the ‘unsubscribe’ link at the bottom of all emails you receive from us. Alternatively, you can send an email from your registered email address to support@opinionpanel.co.uk with the word ‘unsubscribe’ in the subject line. When you cease to meet the membership requirements, your membership may terminate automatically. If we have good reason to believe you have failed to comply with a provision of these terms, or that you have in any other way behaved in a fraudulent or dishonest manner, we reserve the right to delete or suspend your account, as well as your ability to redeem rewards. We may decide to terminate your account if you haven’t responded to any invitations to participate in research projects/surveys over a prolonged period of time. In these cases, we will attempt to make contact with you via your nominated email address. In the absence of you explicitly opting to remain a member, your account may be terminated, and any accrued points credits will be forfeited. Whether terminated by you or by The OpinionPanel Community, you may continue to receive emails from The OpinionPanel Community for a period of 30 days after termination. The views and opinions contained on TheOpinionPanel Community websites, questionnaires and other research material are not necessarily those of OpinionPanel Limited. Where there are links to other sites and resources provided by third parties, these links are provided for your information only. Such links should not be interpreted as approval by us of those linked websites or information you may obtain from them. We have no control over the contents of those sites or resources. You will need to make your own independent judgement about whether to use any such independent sites. The purpose of the OpinionPanel is to carry out research and allow young people to share their opinions. It is not a business tool. You agree not to use your membership for any commercial, business or re-sale purpose and we are not liable to you for any business losses. Business losses includes any loss of profit, loss of business, business interruption, or loss of business opportunity. Our total liability to you in respect of all other losses shall not exceed £50. If you cancel your membership, or this contract is otherwise brought to an end, this section will remain in force.